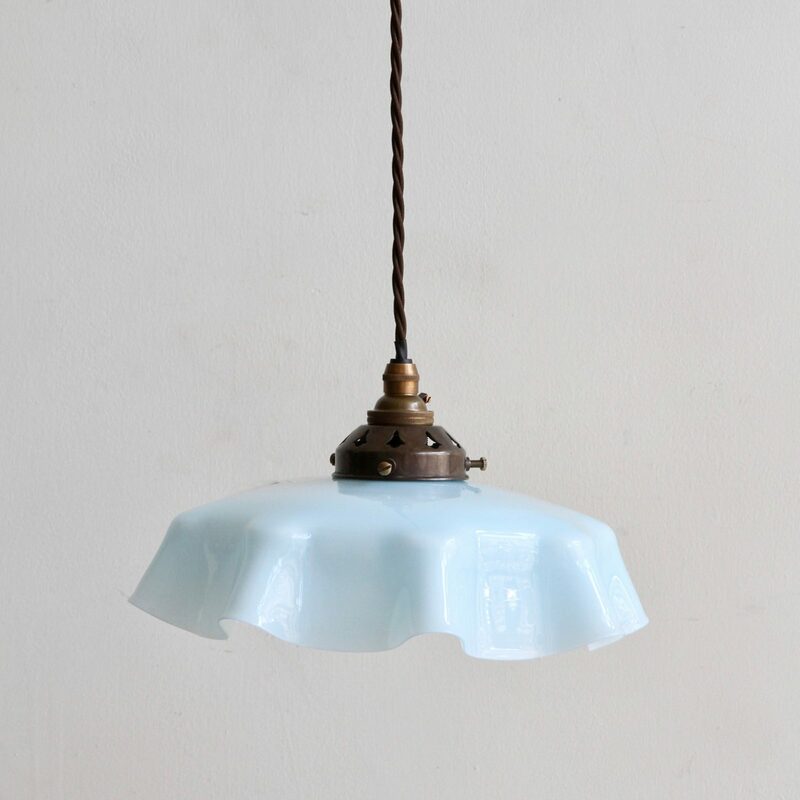 French pale blue glass shade with a handkerchief frilled edge. Rewired with antique brass finish fittings and complimentary brown braided flex. There is a slight chip on the edge of the shade – please see the photos.